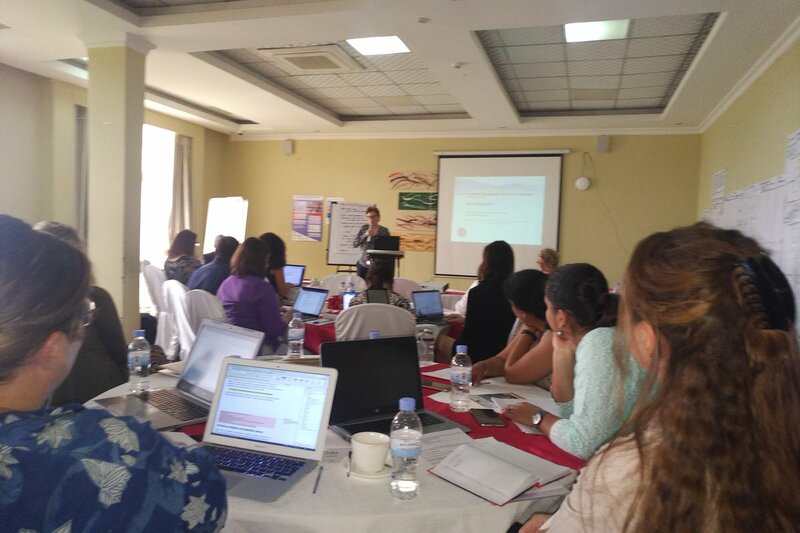 SPACES FOR CHANGE joined energy researchers from across the globe at the annual meeting of the International Network on Gender and Sustainable Energy (Energia) held in Rwanda between October 20-27, 2018. The meeting brought together 35 energy experts comprising researchers from local and international research organizations, independent think-thanks, national statistical bodies, and members of Technical Advisory Group (TAG). Over the past four years, the researchers have been engaged in very rigorous, high quality research aimed at building the evidence base for improving energy interventions’ effectiveness by taking a gender approach. The aim of the 2018 annual meeting is to take stock of the various energy and gender-focused research studies that have been done across continents over the past four years, in order to reflect on the experience gained and lessons learned. The meeting also presented researchers an opportunity to present the main research findings across countries to peer researchers, and to receive inputs and further guidance from a team of technical experts. Drawing from the diverse findings that different research teams presented, a set of key common indicators were formulated, key messages for policy briefs based on the evidence in the research findings were identified, including existing knowledge and new areas for future research. Incorporating gender perspective in energy access programmes and energy sector interventions through the generation and dissemination of evidence saw SPACES FOR CHANGE collaborating with the International Institute for Sustainable Development (IISD) and two other research institutions in Bangladesh and India to undertake research investigating the impact of fossil fuel subsidies and their reform on gender. The research, conducted in three countries: Bangladesh, India and Nigeria, examined the impact of subsidies on major cooking fuels such as kerosene and liquid petroleum gas (LPG) from a gender perspective. SPACES FOR CHANGE conducted the country research in Nigeria. 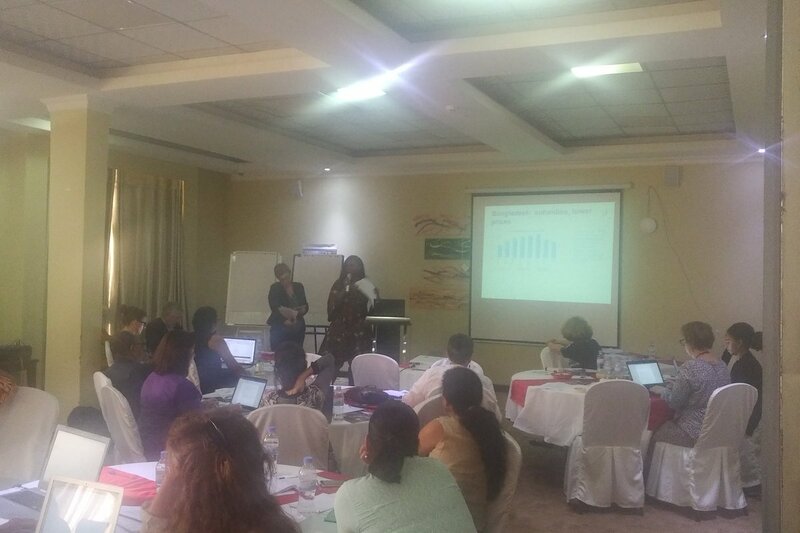 SPACES FOR CHANGE’s Victoria Ibezim-Ohaeri and IISD’s Laura Merill presented their collaborative research on the meeting’s second day, detailing the research methodologies and key findings from the statistical analysis across the three countries. Answers to the overall research questions: ‘How do existing kerosene and LPG subsidy policies affect the welfare, productivity and empowerment of women and girls in low-income households?’ and ‘How might the welfare, productivity and empowerment of women and girls in low-income households change as a result of specific, nationally relevant proposals for the reform of existing kerosene and LPG subsidies?’, were explored using secondary data, focus group discussions and household surveys across the three countries, reaching over 2,400 households. A large share of subsidies accrues to wealthier segments of the population given their higher consumption and access to energy. This effect is particularly strong for LPG, but also for a “poor people’s fuel” like kerosene, and was found in Bangladesh, Nigeria, and India. Subsidies do not guarantee lower fuel prices—and may even create price premiums. Even in systems with official registered prices, households were found to be paying significantly more than the regulated price. In Nigeria, low-income women reported paying between two to six times higher than the official price, and in Bangladesh 14 percent more. This is likely due to many reasons, among them challenges in distribution systems, fuel scarcity, smuggling, diversion and governance issues. Findings imply that even for kerosene, used by the poor, any benefits from subsidies are even lower than previously estimated. In India, the PAHAL (DBTL) system appears to have been successful in preventing large-scale illegal diversion of fuel, with very low rates of shortages or price premiums. But it may have created new access challenges by requiring households to register through bank accounts, identification and mobile phones under one member’s name. Evidence suggests that it may also bias registration towards male household members, as fewer women than men tend to have the required documentation, despite recent progress on financial inclusion. Subsidies can increase fuel scarcity that can lead to long queuing for fuels and this burden often falls on women (e.g. Nigeria). The role of the informal sector in Bangladesh and Nigeria is key to accessing kerosene in small, but more expensive, amounts than via official channels and reforms need to plan for impacts in the informal sector. In India, the PAHAL (DBTL) system has not created fuel shortages, but it does require someone to be available to accept home delivery. In rural areas, where home delivery is not available, households report that men are predominantly responsible for LPG collection, often at the expense of daily earnings. Many low-income women cannot access fuels that are currently subsidized (e.g. LPG in India) and many are not aware of those subsidies that exist (e.g. in Bangladesh and Nigeria). Fuel consumption subsidies alone are not effective at promoting the transition to cleaner cooking or lighting fuels, especially where ‘freely’ collected biomass is available or where there are no alternative lighting systems to switch to such as solar or grid electricity e.g. in Bangladesh, Nigeria, and India. In the short term, the findings of the research conducted in the three countries will be published in open access publications in peer-reviewed journals. In the long term, research information and evidence-based results generated from the research will proffer resources for influencing energy policies and program interventions at the national and international contexts. During the afternoon session on Ideas Marketplace, Ms. Ibezim-Ohaeri and Ms. Merill facilitated the group session where they shared national advocacy strategies for working with media and governments to influence energy policy in Nigeria. The Ideas Marketplace afforded participants an opportunity to share new and exciting lessons learned from the field, unexpected outcomes, collaboration project findings– to consult and stimulate thinking on new ways of thinking about gender and energy.